Axpert MKS 3KW Solar Inverter is equipped with MPPT Solar Charge Controller to maximize and regulate the DC power of the solar battery charging group. TRANSFORMER design provides reliable power conversion in small size. Besides, it’s worry-free to start loads of engine type such as refrigerators, motors, pumps, compressors, laser printers as well as electronic loads such as TVs and computers, power tool and battery chargers. Axpert MKS 3KW Solar Inverter is ​​equipped with MPPT Solar Charge Controller to maximize and regulate the DC power of the solar battery charging group. TRANSFORMER design provides reliable power conversion in small size. Besides, it’s worry-free to start loads of engine type such as refrigerators, motors, pumps, compressors, laser printers as well as electronic loads such as TVs and computers, power tool and battery chargers. Axpert King 3KW Solar Inverter is designed with zero transfer time perfect for critical devices such as servers and ATM. It’s equipped with powerful 140A super charger, 80A MPPT solar charger and 60A AC charger. Detachable LCD control module allows users to remotely monitor this inverter. 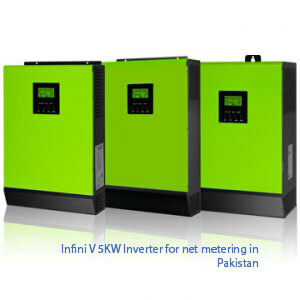 It’s also able to expand power capacity to 45KW with 9 units in parallel operation. Zero transfer time to protect mission-critical loads such as servers and ATM. This simple solar inverter InfiniSolar V 3KW Solar Inverter is designed to power your home appliances or precious 3C electronics. It also can handle motor-type loads with high surge power such as vacuums, small freezers, or drills. 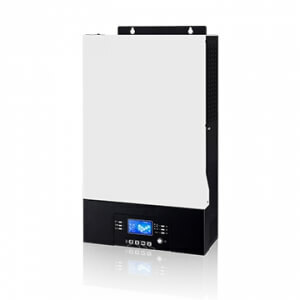 With built-in solar charger, it can convert solar power to battery power and provide continuous power to connected equipment during night time. If you’d like a more detailed assessment of your roof’s solar potential to for 3kw solar inverter fill out our Solar Quote Comparison Request form to initiate a dialogue with accredited solar professionals in our network.